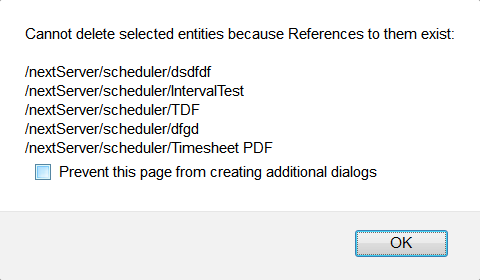 NextReports Blog: NextReports Server: What are the references? Some of them are referenced by others. For example any report or chart has a data source. That means a data source is referenced by that report / chart. What happens if we want to delete this data source? User will be informed the action cannot be done because there are other entities that use it. The message is not very useful to users because if they do not know what are the entities, they must to search for them and delete those first (if the deletion is needed). 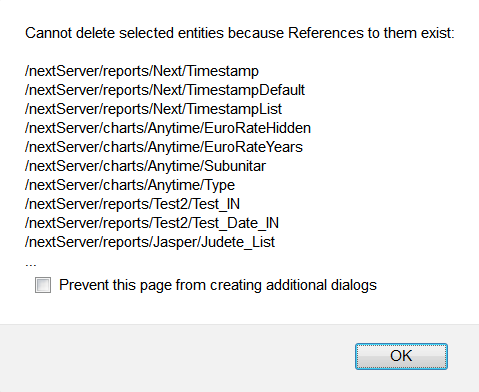 In case a report or chart is used (referenced) inside a dashboard as a widget, it can be deleted and the user will see inside dashboard a message that the entity behind it was removed.